When I was a young girl I loved to run. I loved to race, jog, sprint, whatever. I didn't see much point in walking when running would get me there faster. As it turns out, my girl sees the world the same way. Last year she ran her first mile. This year she continues to leave me in awe. She is now running a 9 minute mile and loves ever second of it. She runs for fun, for practice and for competition. 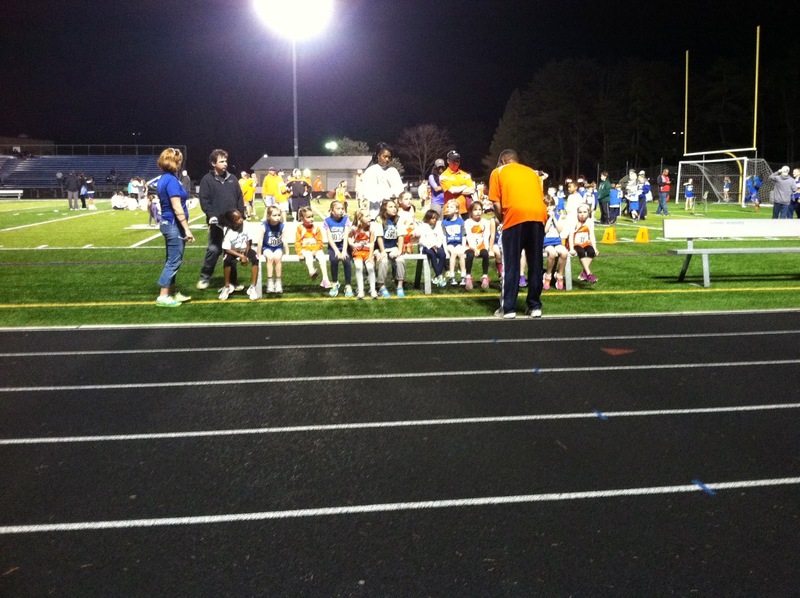 This past weekend we had a Saturday evening meet. 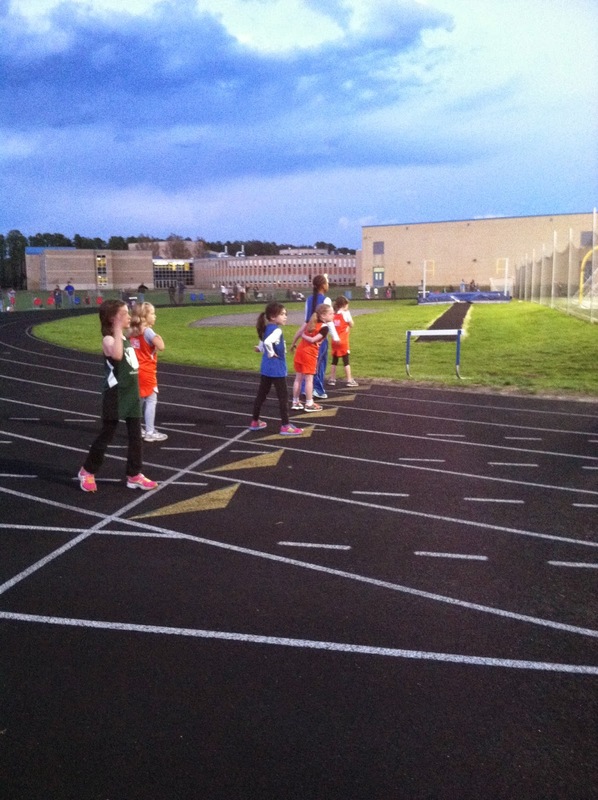 She came in second in the 100 meter, which is not her favorite race. She did amazing in her leg of the 4 x 100 meter (she runs the anchor leg). Where she really shines is the 400 meter. That is one lap around the track. It doesn't sound like much but when you are racing 13 other girls, most of who are a year or two older... it isn't easy. She was outstanding. She came in third overall and was first for our whole team. Her time was 1.41 and I have seen her do it in less. 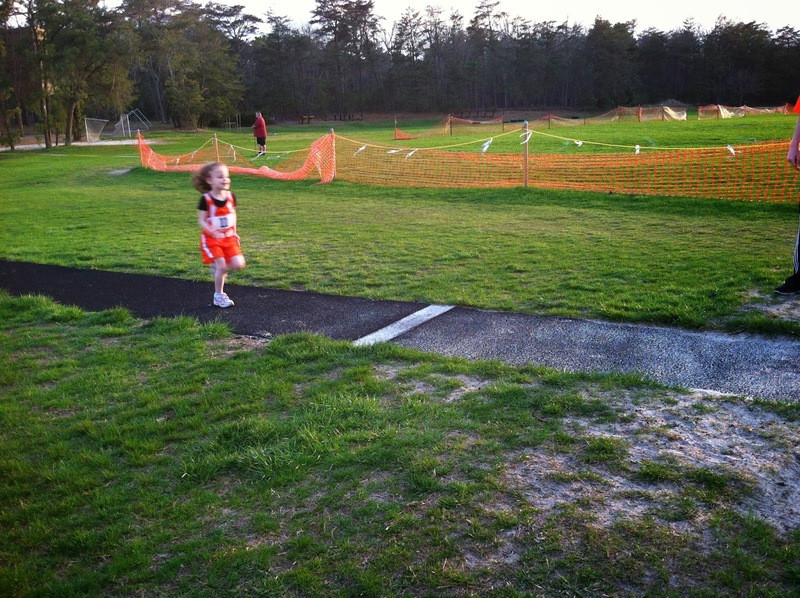 It just astounds me that at six years old the girl just wants to run. I pray that this continues and running can be a way for her to control her ADHD. For now, I am just one proud Momma! *** For the record, Abby is STILL running track. She holds her own. She has had two near spills this season but managed to stay on her feet. Again, her favorite thing to do is the long jump. Something about running full tilt into a pit of sand speaks to her!